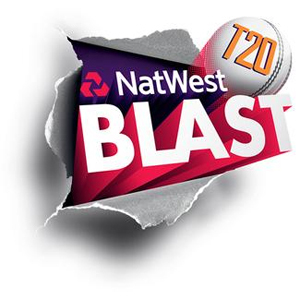 Predictions and betting tips for NatWest T20 Blast matches. Durham are at the bottom of table and out of competition, Derby needs win to remain in the contest. Despite a strong team Surrey are at the bottom of points table, they need all victories they could to stay in competition. Top placed team Glamorgan will be taking on 5th place Hampshire, who will win this clash? Last chance for both teams to win and stay in the contest. Losing team will be certainly out of contest. Essex are almost out of the competition and this is a must win for them. Glo also have to win to remain in the contest. Losing team will be out of competition for sure.